Björk : Greatest Hits CD (2002)Title: Greatest Hits Artist: Björk Genre: Rock/Pop|Electronic Duration: 72.20 mins Format: CD / Album Type: CD No. of Discs: 1 disc(s) Studio / Label: One Little Indian UK Release Date: 04 Nov 2002. PROMO ONLY. UK 2004 DOUBLE CD. NEW but not sealed. DETAILS/EXPLANATIONS ABOUT THE CONDITION GRADINGS. DISC is NearMINT, SLEEVE is MINT. 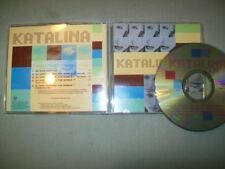 UK 2002 CD Single. TWO MONTHS OFF. DETAILS/EXPLANATIONS ABOUT THE CONDITION GRADINGS RADIO EDIT version. _gsrx_vers_837 (GS 7.0.15 (837)). 〉 © lanah247. 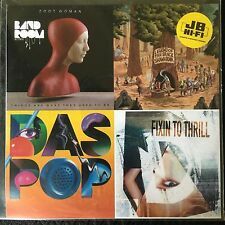 Artist Various Artists Title Winter Chill Release Date 1999-10-01 Label: EMI Records Number of Discs 2. 2 1 Carl Craigs Innerzone Orchestra - People Make The World Go Round. 2 4 Nighthawks - Round Midnight. Artist Various Artists Title Hed Kandi - Back to Love Vol. 1 Release Date 2004-05-19 Label: EMI Records Number of Discs 2. 1 13 Ghetto Heaven-The Family Stand. 1 3 Got A Love For You (Hurleys House Mix)-Jomanda. Artist Various Artists Title Back to Love Vol.2 Release Date 2000-10-09 Label: EMI Records Number of Discs 2. 2 10 Groove Is In The Heart - Deee-Lite. 1 12 Youve Got The Love - The Source feat. Candi Staton (Original Mix). Up for Grabs, La Bouche Falling In Love Promo Remixes CD Single – Like New. CD Like New. CHR Rapless edit. Artist Various Artists Title Disco Kandi 4 Release Date 2002-02-18 Label: EMI Records Number of Discs 2. 2 11 Future Force - What You Want (Mark!s Epic Vocal). 2 10 Clubbers International - I Love Clubbers (Club Mix). Title: Disco Kandi 4. Title : Disco Kandi 4. Label : Hed Kandi. Artist : Various Artists. Format: Double CD. Binding : Audio CD. Format : Double CD. Condition : Good. Jam (1992). The Largest Collection in Germany. Second Hand and New. Here you may buy music at very low prices. VOICES FT SASHA KEABLE. Disclosure - PICTURE DJ PROMO. F FOR YOU FT MARY J BLIGE. Pocket Piano (Joakim "Piano Debout" Remix). Pocket Piano (Original). Pocket Piano (Brodinski Remix). Only officially released on 12" vinyl picture disc, this is the only way of obtaining this single on CD. Promo constists of a CD-R with simple label and 1 page insert, printed on 2 sides. 2012 Red Line Music (no catalog number). CD-R is in very good to near mint condition. Insert is in excellent condition. Has PROMO ONLY etc PRINTED on the disc. UK 1993 CD Single. 1 Feel It (Radio Edit) 2:34. 2 Feel It (The Down Under Mix) 5:28. 3 Feel It (Architechs Vocal Mix) 4:53. 4 Feel It (Moguai Remix) 6:46. We are based in Leeds, United Kingdom, & have been trading since 1995. The album is entitled " Sundial “. This is a promotional cd album featuring Jonny Faith. This is a promotional cd album featuring Montero. Artwork shows that the album was initially due to be titled “Vibrations “. Title: BADMARSH AND SHRI signs. Genre: drum n bass. Title: BJORN TORSKE feil knapp. Format: CD, album, promo. 1 Born Slippy. NUXX, 11:35. 2 Born Slippy. NUXX, Deep Pan 9:57. 3 Born Slippy. NUXX, Darren Price Mix 6:28. 4 Born Slippy. NUXX ,Darren Price Remix 8:08. New Lands (Sebastian Remix). New Lands (Falcon Remix). New Lands (A-Trak Remix). Artist Various Artists Title Disco Kandi Vol.2 Release Date 2000-07-17 Label: EMI Records Number of Discs 2. Jean McClain. 1 2 Pure (Aquanote Tidal Mix) - Blue Six. 2 11 3 Is Family (Dancing Divas Club Mix) - Dana Dawson. SUNSHINE Victimisanothernameforlover – 2005 UK CD PROMO – Electro - RARE! Genre: Electronic - Electro. PROMO - with release info/biographical sticker on reverse of case. 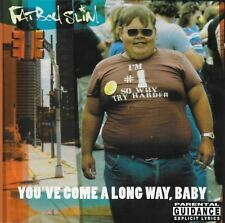 2005 UK CD from Custard Records. Remix – Fischerspooner. In Slip-Case. Condition: Like New. Urban Trance Plant – Ready To Flow. Li Kwan – Point Zero. Komakino – Can’t Stop (Outphase EP). Legend B – Lost In Love (Sysex Style Mix). DJ Misjah & DJ Tim (X-Trax) – Access. Sushi – Osaka Acid. PH1 – Sizzling Love. Various Artists : Digital Peneration CD (2006)Title: Digital Peneration Artist: Various Artists Genre: Dance|Compilation Duration: 67.50 mins Format: CD / Album Type: CD No. of Discs: 1 disc(s) Studio / Label: Alt Delete UK Release Date: 31 Jul 2006. Artist : Goldfrapp. Binding : Audio CD. Format: Single. Format : Single. Condition : Very Good. Product Category : Music. Release Date : 2008-02-11. 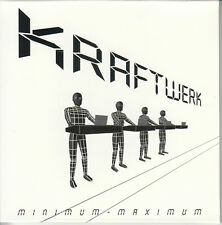 Label : Mute Records. 1 Born Slippy. NUXX (Short) 4:25. We are based in Leeds, United Kingdom, & have been trading since 1995. Region 1 = US. DVD Regions. Artist DUKE (DANCE GROUP) Title NEW BEGINNING CD UK VIRGIN 1994 Label: EMI Records. ARTIST: MOUSE ON MARS. CD CONDITION SLEEVE CONDITION: Near Mint. RELEASE DATE. ARTIST: PLANNINGTOROCK. WALLET / INSERT CONDITION CD-R CONDITION. 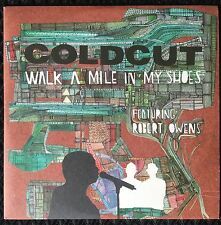 Coldcut - Walk A Mile In My Shoes Promo CD Feat. Robert Owens. 2006 UK 40-trk promotional test 2xCDR issued by Ministry Of Sound. Love Sensation 06 (Hi-Tack Burnin' Up Club Remix) - Hi Tack. Faster Kill Pussycat - Oakenfold. Release - Chris Lake. Anthem (2006) (Hoxton Whores Remix) - Hoxton Whores. Lost My Mind. Bang Your Head. MISS KITTEN. Featuring –. Girls In The Hood. Featuring – JAY NORTON SCRUFIZZER. Love City Groove. DVD Region. Blues Childrens Classical Country Dance Dance & Electronica. EAN: 5021732500328. Any codes/keys maybe missing or used. If Item is listed as used it may show signs of wear. Professor Green - 4 different Promo cd singles !!! MONARCHY Monarchy Album Sampler – 2010 UK PROMO CD + DVD Digipack - RARE!